Gonzalo Rodriguez’s career as a coach surpasses most who have stepped foot inside the Lions of Mesopotamia’s dressing room. Rodriguez has coached in the Spanish top flight and was fellow countryman Rafael Benitez’s trusted conditioner at Liverpool. Gonzalo Rodriguez took a risk in 2014 by taking on the role as Iraq’s fitness coach. Since then, he has never looked back as his energy, enthusiasm and commitment has made him a popular figure within the country as a whole. Employed by Qatar’s Aspire Academy and working with local club Al Khor, Rodriguez first worked as a fitness coach with Spanish side Salamanca. After several roles in Europe he joined Arbil in the Iraqi Premier League in which he helped them to a league title in 2012 and AFC Cup final appearance in 2014. In a cafe at Doha’s West Bay, we got to know Gonzalo that bit more and spoke to him about his time with Iraq so far. You’ve been a professional handball player for Spain, PE teacher and coached at Salamanca, Liverpool, Real Valladolid, Albacete, Arbil, Al-Khor and Aspire Academy. Would you say your role with Iraq is the best job yet? It’s a challenge because I’ve never worked with a national team before. To work for a national team is of course a huge chance for anyone. I coached at some big clubs as you said at Liverpool for instance. Even Arbil for me is a big club. However, nothing compares to a national team. At club level, you can alter things. If you make a mistake, you can fix it. But if you are working with a national team there isn’t a second opportunity. If you do something wrong, khalas, you will lose the game. Therefore this is a big chance for me as it’s the biggest opportunity I have to reach a World Cup which would be a dream. What attracted you in moving to the Middle East and how did it all come about? Well the economic crisis in Europe even had an effect on football. At times I would see out my contract and clubs wouldn’t pay me. Even now, I still haven’t received the full amount. So therefore this situation makes it really difficult to look after your family. I spoke to my wife and we both agreed that the future is in the Middle East. You’ve got a great relationship with Rafa Benitez, and although you say Liverpool is one of your favourite clubs, he had an influential factor in your move to England. What are the chances of you working alongside Benitez again? Yes, there is a chance. Just yesterday we were talking! I have a really good relationship with Rafa and all his coaching staff. You’re a well-travelled man having spent years in various countries. Your brother recommended you moved to Cambodia with him to soak up a different way of living. How would you compare this chapter of your life, with time in Iraq (Arbil) and the Middle East, to any other? When I was teaching at university I told my students that the best book you can read is travel. I’ve been lucky because I’ve had the opportunity to live in America, Portugal, France, Cambodia and many other places. To give my family the possibility of experiencing and learning from different countries is invaluable. I’m really enjoying being here in the Middle East. How would you describe your experience in Australia for the Asian Cup? Did you realise, before you took the job, how mad and passionate Iraqi fans are when it comes to the sport? For me it was a surprise. Every single place in Australia we went to there were Iraqi supporters. At the airport when we arrived to Brisbane around a thousand people were waiting for us. It was unbelievable! Australia is thousands of miles away from Iraq as well. This was the moment in which I realised the magnitude of Iraqi fans. Iraqi fans, for me, are one of the most passionate supporters in the world. The derby against Iran has gone down in history as one of the best ever Asian Cup matches. What was it like to be part of it? It was the best ever! We worked so hard throughout the tournament and this win gave us belief that we could beat anyone. Prior to this tournament some players had lost their confidence, though, after this game the side was full of it. It’s a victory which is great for future matches because we know that if we remain 100% focused then we can take on anyone. Why did Dhurgham Ismail celebrate after his penalty by running and jumping on you? The moment Dhurgham ran and jumped on me was one of the happiest moments of my life. At this point I really felt inside Iraq. Until then I wasn’t looked at as a mercenary but just another guy that works for the country. However after this moment I felt Iraqi. I hear the Iraqi national anthem and feel as is if it’s my own. I feel proud to belong to the people of Iraq. I have to say thank you to Dhurgham. I was quite surprised. Yes, it was me he ran over to but it could have been anyone from the coaching staff. We make a really strong family. Dhurgham was the only Iraqi to feature in AFC’s team of the tournament. What do you make of reports from British newspapers that the left-back could be on his way to Liverpool? I don’t know if Dhurgham will be on his way to Liverpool but Dhurgham can definitely play in Europe. To be honest, there are many Iraqi players who can play in Europe. They just need to start believing in themselves. They have the quality and the passion but at times all they need is for someone to advise them properly. So then what is holding them back from moving? The move abroad is not easy. If you move to Europe you are faced with a complete different lifestyle. So therefore you have to understand why some may be afraid. I do agree though that if more players played abroad then the national team standard would vastly increase. You received a lot of credit for the work you done with the players and played a key role in progressing Iraq to the semi-finals of the Asian Cup. What was the trick? Well firstly I had to be aware that each player came from a different situation. Maybe one player arrived to camp with 5,000 minutes under their belt and another with 1,000 minutes. I had to take into account each player’s circumstance and would therefore designate them a specific program. I think that was key. Also to be able to beat Jordan in the first game was crucial. It gave us a big push forward. So you have a one-to-one relationship with each player then? Of course. All of the players are important. All of them. Starting from the striker and finishing with the goalkeeper. You have to create a relationship with not just the starting eleven but from the third goalkeeper all the way to the fifth striker. If you want to win one game, yes, you need 11 players. But if you want to be able to win a tournament, you need a team. I don’t want to help coach a team in which I only focus on 7/8 players and the rest are complimentary. We have 25/30 players and each one has to be able to play at any moment against any team. Our aim is to build a family. The country is so fractured so it’s key we make the team a family. It’s the only way to achieve something. What was the missing factor which caused Iraq to not reach the final? In football you can try to challenge and make things difficult for the opposition but I’ll be honest in this moment in time South Korea are a better team than us. This doesn’t mean we cannot beat South Korea in the future. When the Asian Cup came around the South Korean side had been together for around five years. That makes a difference. So in a semi-final where everything is so equal the smallest difference makes a huge impact. Players came out and said it’s the fittest they’ve been under your conditioning guidance. How would you respond to club managers who criticise Iraq players as being run down when they go back to their club? Would you say your style of coaching has a detrimental effect on players’ club performances? First of all you have to understand that most of the team don’t have a proper fitness coach. For each player to be a month or two away training for an Asian Cup is tough. Look at the players after World Cups, they are shattered. Everything is physiology but you have to respect the steps. So what do you make of the World Cup/Asian Cup qualifying draw? Looking forward to travelling around Asia, in particular the South-East? It’s not an easy draw. Believe me. Some people will say we are lucky but I say they’re wrong. Indonesia and Vietnam are not easy opponents. You have to take into account the travel and the difference in climate. It definitely won’t be easy. Our aim however is to finish first. All we can ask for is support from the Iraqi fans. Indonesia has been ordered to host Iraq behind closed doors following crowd trouble in youth games. Do you think that will have an effect on the team’s performance? You would think it would work in our favour because Indonesia won’t have their supporters. In the other hand, when you play in an empty stadium, it’s difficult to be 100% focused on the game. Anyway I do not want to make any excuses. If we want to progress then we have to be able to win away from home no matter the circumstance. You’ll be aware the last time Iraq qualified for the World Cup was in 1986. It’s really every Iraqis dream to see the nation play in a World Cup again. How do you think our chances are in qualifying for Russia in 2018? If we go by history then we won’t qualify. Every win in the qualification round is a big achievement. If we don’t qualify it’s not a disaster. You have to remember we have only qualified once to the World Cup so we aren’t expected to qualify. My message to the fans is that we have a chance to do it, we are going to try to do it, support us, help us and we will see. But inshAllah we progress because I know how much it means to the people of Iraq. How has it been so far working with Akram Salman? How does he compare to Radhi Shenaishil? I’ve not worked with Akram for that long so I need more time before I can properly have an opinion on him. What I can say is that to work with Radhi Shenaishil was a brilliant experience. I think he is one of the best professional coaches in Asia and is able to coach in Europe if he wants to. FIFA have lifted the ban on Iraqi stadiums for just friendlies at the time being. Some may not know that a clause you added to your contract prevents you from visiting Baghdad. Will you start rethinking that decision and make an exception for international matches in the capital? I don’t have a contract with Iraq at the moment. Therefore I don’t have a clause of such. We are currently still negotiating terms and conditions however nothing has been signed. The FA has confirmed Iraq will play Syria on June 27th at the Basra Sports City stadium. Will you be in Basra for that game? I don’t know. I only know the plan with the Iraq Football Association until June 17th. If an international fixture was to take place in either Baghdad or Basra would you go? I’ll be honest, I would like to and I have to. At some point we have to give back to the Iraqi people. They are supporting us a lot and it’s time to give back. A lot of the matches will be played in Zakho’s new stadium but the people of Iraq want games to be played in Baghdad. I know but this is a good first step. At the start, games were banned from Iraq but now friendlies can be played in Zakho. I think it’s logical to start in the Kurdish region because at the moment it’s the safest. Once games in Zakho show FIFA that Iraq is capable of hosting matches then they’ll be moved to Baghdad. Everyone including the federation president who is Kurdish want games played in Baghdad. This is because the national team belongs in Baghdad. For the time being it’s intelligent to play the majority of matches in Zakho. Because if for any reason we play our first official match since the ban was lifted in Baghdad and something happens then games at home will be held back again for another five or ten years. However, everyone, me being the first, want games to be played in Baghdad. What do you think of Younis Mahmoud’s comments on a live television interview in which he questioned the attitude and patriotism of our country’s expatriates? When I’m working with the national team, from what I’ve seen, everyone tries their best for Iraq. At times people can say expats in a disrespectful way. I don’t know why. These players are losing money, time and increasing their risk of injury as they play for free for Iraq. They are just trying to help the country. I don’t notice anything different in the attitudes of expats and those based in Iraq. The FA seems to have a scouting system now where they primarily focus on expats. Do you think it’s time for Iraq to start searching for talent from players in the Iraqi league rather than players in lower divisions of Europe, USA & Australia? Iraq has some great players so if an expat is called up then it’s because he fits our criteria. If expats are handed a trial then it’s only right that Iraqi based players are given the same opportunity. If by playing abroad means you have a better chance of playing with the national team then for me that is not fair. Therefore if we are looking to bring someone from abroad, an expat, then he has to be up to the same standard of the national team. On a lighter note Gonzalo, what is your favourite Iraqi cuisine? Dolma, for sure! I really love Dolma. I tried Dolma for the first time in Arbil. Also coach Radhi’s wife makes the best Dolma! How’s life in Doha anyway? I really enjoy life in Doha. However, being honest with you, if the situation in Iraq was better I would prefer to live in Iraq. Iraqis are very similar to the people of Spain. I would feel much happier living in Iraq than in Qatar if circumstances were normal. Iraq is a great country. 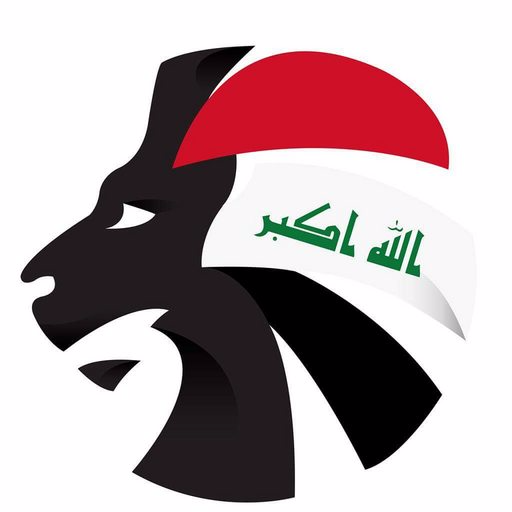 So just to round up, the big question that everyone at Soccer Iraq wants to know… who is currently the fittest Iraqi player? Haha! It’s difficult to say because all of them work so hard. Even Younis, who has been criticised for perhaps being too old, trains extremely well. Thank you for your time, Gonzalo! We hope you can become the catalyst in inspiring Iraq to their second ever World Cup. No problem at all. That is my dream!